Our stock of the week is 5G Networks (ASX:5GN), a company that has substantially outperformed its blue-chip rivals by negotiating volatility in equities markets and uncertain industry conditions. The following chart shows its relative outperformance compared with both the S&P/ASX All Ordinaries index and the S&P/ASX 200 Telecommunications Services index over the last three months. The company’s share price performance in January has been particularly impressive, increasing more than 50% from 42 cents to a 10 month high of 65 cents on Wednesday after advising cash receipts in the December quarter were $14.2 million. This represents an annualised run rate of $57 million, suggesting that an important acquisition made in August 2018 may have already surpassed expectations. While developments within the company have contributed largely to this rally, the industry backdrop is interesting, particularly given that 5G Networks’ core business is improving connectivity and speed of service for more efficient usage of the internet and cloud applications. With the major telcos now being directed to inform customers who aren’t receiving the contracted speed of internet service, and subsequently providing users with financial recompense or alternative arrangements, the timing of 5G’s entry couldn’t be better. While 5G only listed on the ASX in November 2017, the company has a wealth of experience behind it. Chief executive, Joe Demase, was instrumental in steering smaller companies into niche markets and building scale to a point where they were taken over by the major players at sizeable premiums. 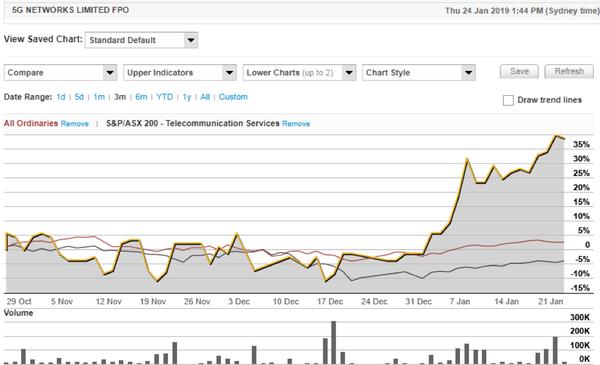 Demase has had previous success with Uecomm (acquired by Optus) and Clever Communications (BigAir), so he knows the market well. However, companies in the information and communications technology (ICT) space often have trouble gaining share price support because their underlying technology is difficult to understand. On this note, 5G is very reminiscent of PIPE Networks, a company founded and managed by Bevan Slattery, one of Australia’s most prominent telco entrepreneurs. Slattery transformed PIPE Networks from a $12 million company into an entity that was acquired by TPG Telecom (ASX:TPM) for $373 million. His success was built around developing telecommunications infrastructure that functioned better and was more competitively priced than the big players, with a particular emphasis on CBD areas where he addressed the ‘last mile’ issue — an area that we will look at more closely later because it’s central to 5G’s business strategy. Similar to Demase, Slattery went on to manage other ASX-listed companies in emerging areas such as data centres and the development of innovative telecommunications infrastructure focused on high density areas. Slattery is currently executive director of Superloop Ltd (ASX:SLC), which was spun out of another one of Slattery’s telco businesses and went on to acquire BigAir in 2016 for approximately $100 million. So, Demase certainly has the experience, as he has learned from the best, particularly insofar as understanding all that goes with developing telecommunications infrastructure and service delivery. 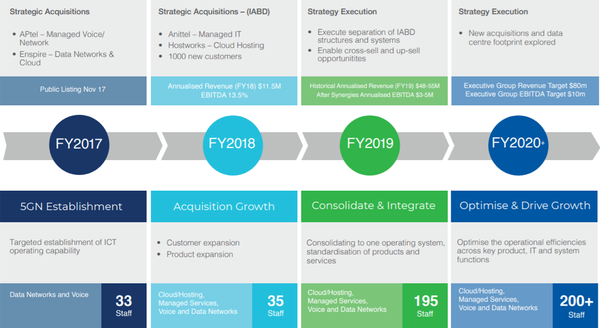 Harking back to PIPE Networks, it took some time for the company’s technology to be understood, but investors who took the deep dive into its operations at an early stage made a 30-fold gain when the company was taken over. While 5G may not be a 30-bagger, it is worth taking the time to understand its business model and technologies to see if it fits your portfolio. As ICT continues to rapidly evolve, the complexity and sophistication of ICT services and applications are also transforming. One of the key developments in supporting this evolution has been the introduction and adoption of cloud services and applications. 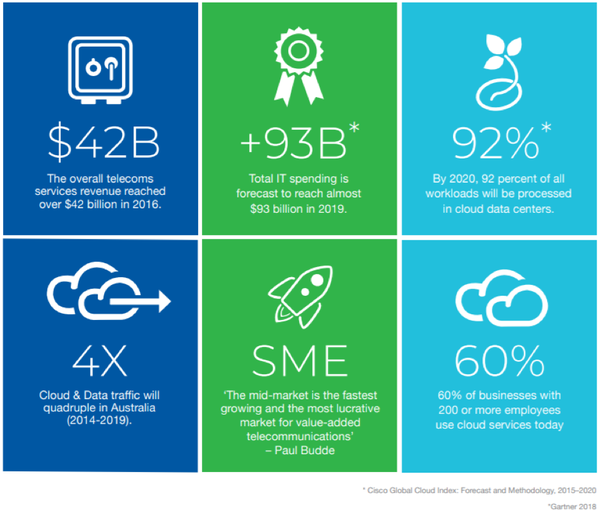 Cloud services boost innovation and productivity across the digital economy, and the number of businesses using cloud software is growing rapidly. The Australian Bureau of Statistics (ABS) estimated that as at June 30, 2016, 31% of businesses were using some kind of cloud software, up from 19% in 2014. 5G referred to surveys conducted by the ABS, which reported that over 50% of businesses saw cloud software as important to their business and that the use of cloud is now viewed as a fundamental aspect of business and organisational efficiency. As at June 30, 2016, the use of paid cloud computing services increased with each successive employment size range, from 25% for businesses with up to four employees, to 60% for businesses with 200 or more employees. Generally speaking, business applications such as CRM, accounting systems and ERP are required to be available and working efficiently 24/7. The implications of downtime or degraded network performance for businesses include loss of revenue resulting from work inefficiencies and compromised data, as well as negative experiences for customers. As the corporate sector moves towards increasing its take-up of cloud services and applications, challenges such as network access and data speeds are emerging. Depending on location, these challenges are often exaggerated and costly. This is in part a result of the government’s decision not to extend the NBN fibre network to business premises. In the ICT industry, this additional extension is known as the “last mile” connection problem. Without the last mile, many businesses are dependent on sub-standard copper connections and inferior technology such as ADSL. Copper/ADSL solutions are suboptimal, particularly in terms of access redundancy and back-up, and in most cases preclude the businesses from effective use of cloud applications. The mid-market corporate sector is one of the largest ICT spending segments in Australia. This sector is serviced by a range of network and cloud providers, but very few companies provide a complete package spanning network and cloud services. The mid-market corporate sector does not attract the attention of larger providers, and as a result, many businesses in this segment have been forced to integrate elements of the solutions themselves, which creates a complex solution at a high cost, and often necessitates the use of a number of different suppliers. Many businesses in the mid-market corporate sector are forced to locate their ICT infrastructure onto their own premises, as there is a lack of available and viable network and cloud solutions in the market. 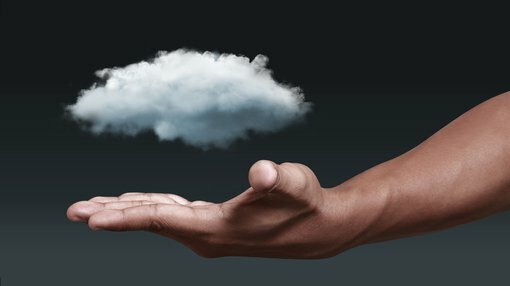 The supply of ICT services from the cloud offers a compelling solution to these problems. However, access to the cloud often requires high speed connection to the ‘fibre backbone’. Difficulties with this include the fact that business grade fibre is limited and expensive outside of the CBD and while the fibre backbone is adequate to support cloud solutions, many corporates cannot access the quality last mile services to connect to the key infrastructure, denying them access to the required speed. 5G Networks, meanwhile, solves both the cloud hosting and network infrastructure problems. As the network is rolled out, it will deliver high speed quality wireless connections to the fibre backbone and provide a superior service through its cloud products which have been well tested in the market, with strong customer growth making for endorsement of the technology. 5G Networks’ wireless capability will operate within the 5GHz and 2.4 GHz spectrum, utilising wireless point-to-multipoint technology. This is an unlicensed spectrum that can be accessed by 5G Networks for a fraction of the cost of utilising licensed spectrum. Although the use of unlicensed spectrum will require 5G Networks to operate utilising low signal power, the technology adopted by the company will allow it to deliver high speed broadband services. The wireless point-to-multi-point technology will work in parallel with existing fibre services, offering redundancy and load balancing for clients who demand high availability for their cloud applications. Based on the IPO metrics, 5G had a market capitalisation of approximately $11 million on listing with $800,000 to be used to complete the acquisition of Enspire. Enspire provides cloud solutions targeted at mid-market corporates. As 5G Networks did not have a customer base or revenues at the time of listing, the acquisition was important as it brought both. Enspire has been operating in Australia for nearly 20 years and is a proven performer as a provider and facilitator of cloud computing services. It has access to a privately owned data centre for use by private cloud clients. In addition, Enspire has proven credentials as a specialist in hybrid cloud integrations, developing cloud infrastructure solutions, both private and public, that address the needs of businesses in 5G Networks’ target market. Notwithstanding the importance of Enspire, it could be argued that the acquisition of Inabox’s (ASX:IAB) direct business — one of Australia’s largest and most experienced cloud providers — has been the most important development since the group listed. The IAB business has a broad suite of technical resources, as well as national reach. When the $5.7 million acquisition was completed in August, 5G estimated that it would add annualised revenues of $55 million. The acquisition was a significant step in expanding the geographical footprint of 5GN, providing it with a presence in Melbourne, Sydney, Brisbane, Adelaide, Perth, Hobart, regional NSW and Townsville. Customer numbers also grew substantially following the acquisition, with a number of ASX top 100 companies added to its client list. Servicing these customers will be over 200 staff nationally, made up of 5GN current employees and the IAB direct business employees. Commenting on the acquisition, Demase said: “We pursued this acquisition because it was exactly what we needed to rapidly expand our core business streams and represents great synergy with our existing business. Livy has run the numbers on 5GN, making some peer comparisons which make the group look extremely good value. He believes that making comparisons with companies like Over The Wire (ASX:OTW) and MNF Group (ASX:MNF) will help the market attribute fair value to the stock. Livy noted that these larger peers trade on enterprise value to EBITDA multiples in a range between 11 and 15, compared to 5GN’s 5, providing plenty of upside should the market take a liking to the story. He believes 5G is on track to achieve annualised EBITDA in a range between $3 million and $5 million in FY19 as the full synergies from the IAB deal kick in. Livy is confident there are plenty of acquisition opportunities on offer, and the earnings upside from synergies and the reduction of duplicated overheads is significant. Revenue growth can also be achieved by running services to acquired customers over the existing network — this is a low-risk way to both boost margins from existing customers, while also building coverage with a predictable return on capital invested.